Etching by Jacques Androuet du Cerceau, 15.8 x 22.5 S (Florence). Herbet, IV, 1900, 302-303 (1969, 152-153), V (Grands Cartouches, Second Set), 10. COLLECTIONS: Florence, 12780 st. in vol. New York, 62.525, no. 61. LITERATURE: Béguin and Pressouyre, 1972, 134. 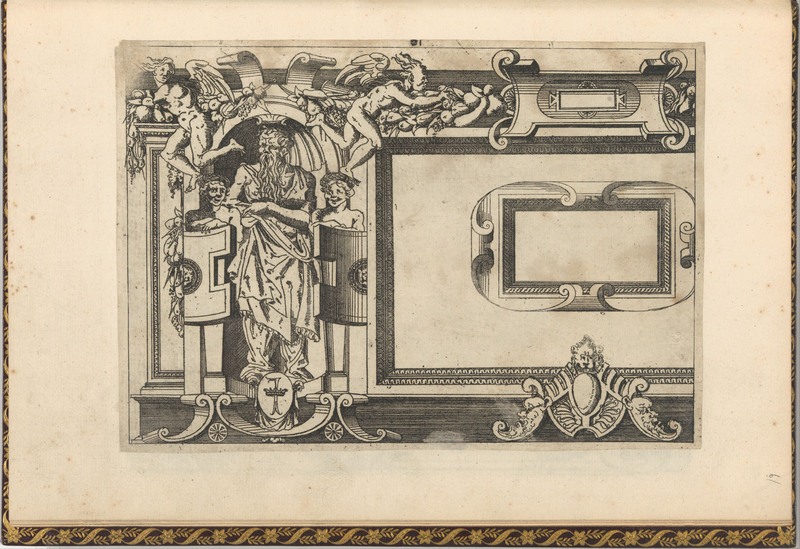 For this print, which is related to the frame of the Twins of Catania, see under P.22, V North. 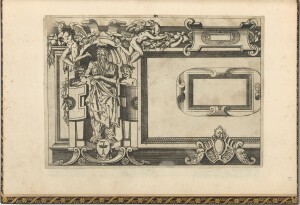 Its source may be Fantuzzi’s print, E.73, from which another print by Du Cerceau, E.57,9, is derived.